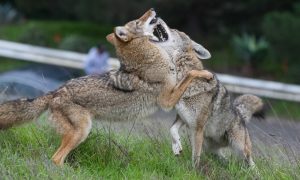 Janet Kessler, from San Francisco, has a fascinating blog – Coyote Yipps. Janet spends a lot of her time observing her local coyotes and has keen insights into their community. 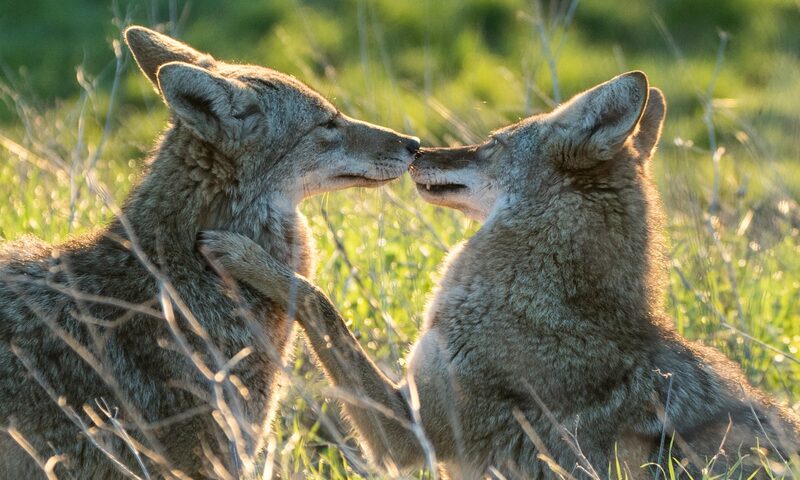 The Urban Coyote Research Project, based in Cook County and in collaboration with the Ohio State University, has information on how urban coyote research is done, stories from the field, and general information about coyotes. Coyote Watch Canada, a non-profit volunteer-run advocacy organzation, has this comprehensive page of FAQs. These 10 fascinating facts by the Urban Coyote Initiative address a lot of common misconceptions about our canine neighbours. Beyond Words: What Animals Think and Feel , by Carl Safina, is a read for stronger teenaged readers and adults, but has lots of detailed research and thought-provoking examples. The World of the Coyote, by Wayne Grady, is a beautiful book that looks at coyotes, their relationship to humans, and addresses problems in the sheep industry.